Greetings from a sodden Christchurch, where, it’s fair to say, any drought is now broken, as it has rained nonstop for nearly three days ! Amazing to think how small the world is having run into Richard Pendleberry from PETERCULTER at a service station on Xmas day in Christchurch where a voice says, "My God, It’s Jim Hardie!" 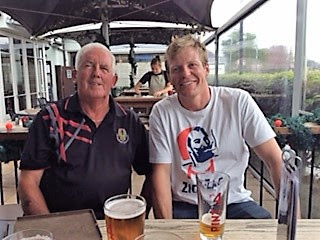 I was stunned to see it was Richard, who has been working on various golf courses for about eight years all over New Zealand ! 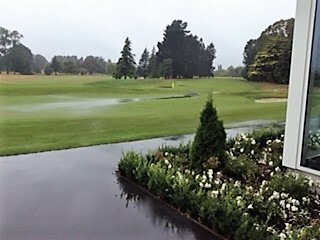 Second photo, below, shows a waterlogged Christchurch Golf Club 18th green. This was from the last downpour a week or so ago. Goodness knows what it will currently look like, but if the streets in some parts of Christchurch are any indicator, the course will not be great!